Coupon clipping party is today, March 27, at 9 a.m. at the Connell sisters’ house, 539 Ramos Lane. You will be finished by noon. Please help if you can spare a couple hours. Because we have a few empty seats on the bus, the restaurant has agreed to let me add more people up until noon on Monday, March 30. If you find you are now available to go on the trip, please call Nancy at 207-6830. Buses scheduled to arrive at Madera front parking lot just before 9 a.m.
As soon as the buses are loaded, they will pull out. If you want to be with friends, please make sure you all get on the same bus since they go to the different museums at different times. Please wear close-toed shoes and bring sunscreen and water. Buses will return between 4 and 4:30. Cash, checks, credit and debit cards accepted at the gift shops in both museums. 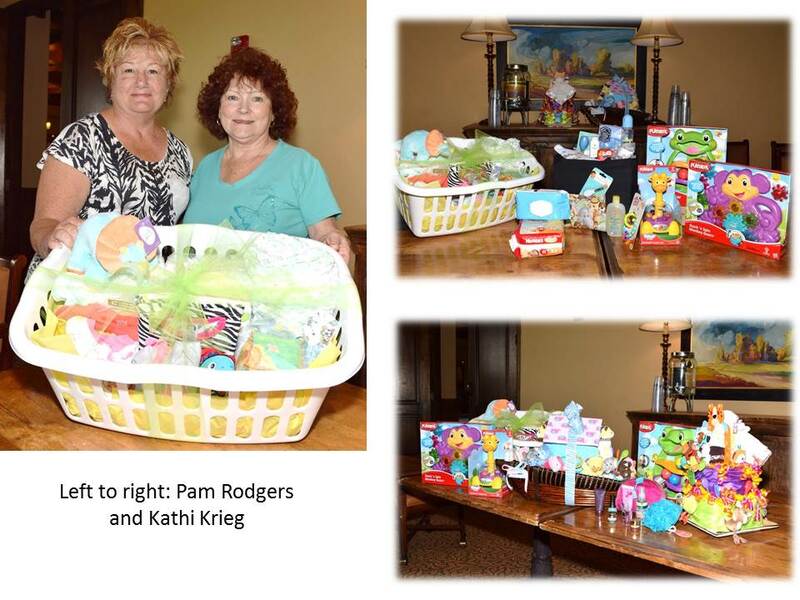 Thanks for your outstanding support by donating items for the Moms’ gift bags. The Moms’ bags are now completed. We can still use more baby items. Donations for the babies may be brought to Madera on March 31 right before the field trip. Pam Rodgers will lock all donations in her car. Donations for baby items may also be taken to Pam’s house at 2640 E Sawyer Road. There are also boxes at the Anza Fitness Center and the Madera Clubhouse where donations can be dropped. The next Honor Flight for World War II veterans will take place on April 18. TWOQC member Laurie Brown is going to be a guardian on this flight, the last one until the fall. We are asking for letters thanking the WWII veterans for their service. Here is the list as we know it right now—no changes from last week. You might want to start the letters and add the names of the veterans later, just in case there are changes to this list—as can happen when the veterans are in this age group. Those highlighted in green are from Green Valley. There is one female on this trip highlighted in pink. Since there are so many veterans going on this charter flight, perhaps a group of you can get together for a letter writing party to make sure all of those traveling to DC to see their monument get a couple letters. Or at least let’s focus on those living in Green Valley. 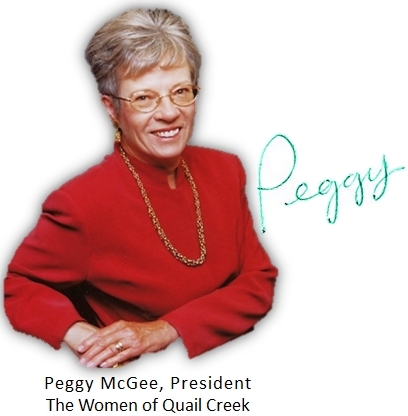 Letters can be turned in to Kay Robinson at 898 Kenneth Drive or left at the Concierge desk. Please put each letter in an envelope with the veteran’s name on it. If the letter is for any veteran, do not address the envelope and the organizers will take care of it. Please note that William M (highlighted in green) is the father-in-law of our 1st Vice President for Membership, Carol Mutter. As a reservist after WWII, he was also called up to serve in the Korean War. Since he served in two wars, perhaps we can shower him with letters from our club. 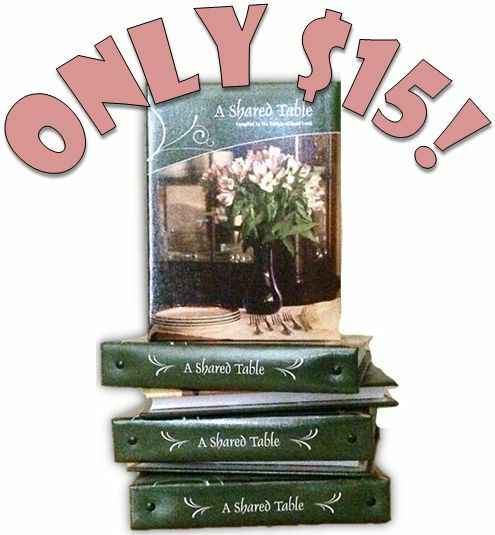 A cookbook would make a nice hostess gift if you are going to someone’s house for Easter dinner. If you need a cookbook, please contact me at pjmcgee@cox.net and I will make arrangements to get it to you. Just $15 each. 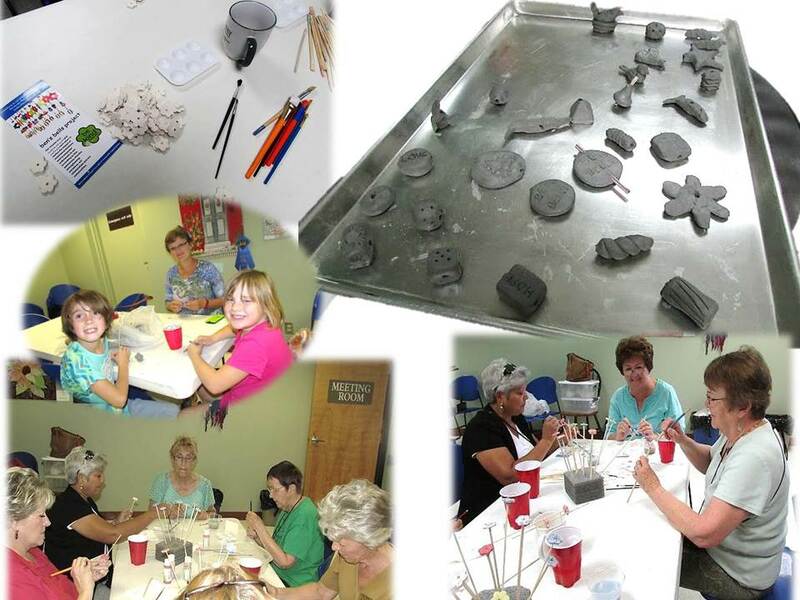 Several years ago, Jeannette Maré, founder of Ben’s Bells, spoke to our club and several of us went to the Ben’s Bells in Tucson where we painted ceramic pieces that went on to the Ben’s Bells wind chimes. 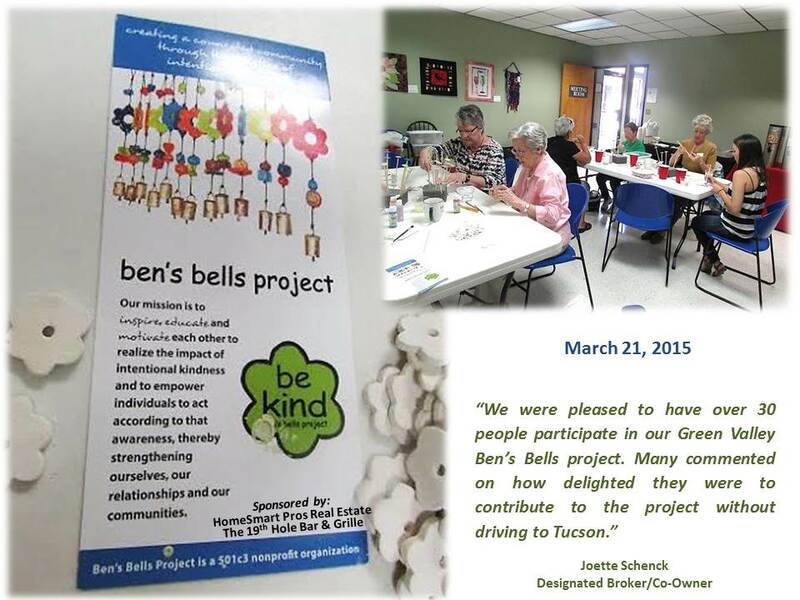 Ben’s Bells, whose mission is to spread acts of kindness in communities, came to Green Valley! 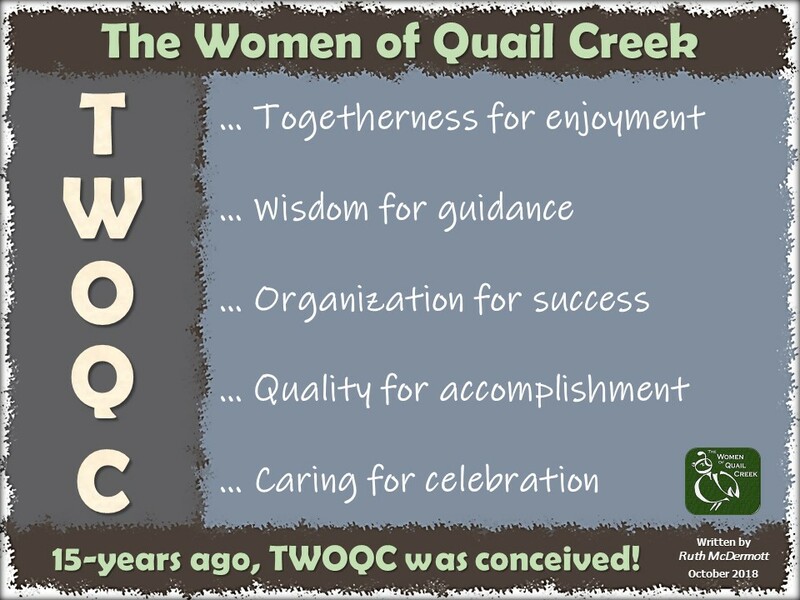 On Saturday, March 21 approximately 30 local residents (a few from TWOQC) joined forces at the Green Valley Village to sculpt and paint components of the bells. Thanks for all you do to support the club’s causes and make us look really great. You all deserve a big pat on the back for making a difference in the lives of those less fortunate.